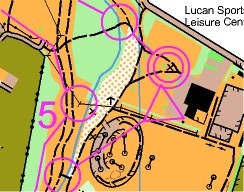 Carlingford: Results for the Senior Home International and Leinster Autumn Series No 1 on 29th September 2013 are now available here: Results . Happy New Year from 3ROC! A great Irish Championships for 3ROC! Good luck at IOC 2013! This weekend’s orienteering: Scarr back on again! Saturday morning training for all! Leinster Champions – Well done! The new 3ROC club jackets have arrived! Get Lost in the Park!